The Nigerian Communications Commission (NCC) has told MTN that it didn’t actually mean it when it said it had cut the fine it imposed on the telecommunications operator by 35%. In a second letter to the group in as many days, it said the fine would be reduced instead by only 25%. “Late on 3 December 2015, the day after receipt of the first letter, the company received a further letter from the NCC dated 3 December 2015. The second letter, which was stated to supersede the first letter, informed the company that the fine had actually been reduced by 25% to 780bn naira and not by 35% to 674bn naira, as was stated in the first letter,” MTN said in a statement on the stock exchange news service. 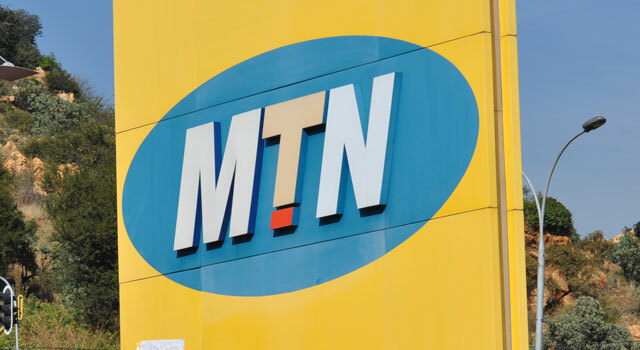 “Neither the first letter nor the second letter sets out any details on how the reduction was determined,” MTN added. The reduction in the size of the cut — which is likely to call into question the competence of the NCC — means MTN is now expected to hand over R56,4bn, or R7,7bn more than previously communicated, by no later than 31 December 2015 or facing further unspecified sanctions. “The company is carefully considering both the first letter and the second letter, and the executive chairman Phuthuma Nhleko will immediately and urgently re-engage with the Nigerian authorities before responding formally, as it is essential for the company to follow due process to ensure the best outcome for the company, its stakeholders and the Nigerian authorities, and accordingly all factors having a bearing on the situation will be thoroughly and carefully considered before the company arrives at a final decision,” it said. President Jacob Zuma is set to meet with his Nigerian counterpart, Muhammadu Buhari, on Friday on the sidelines of the Forum on China-Africa Cooperation, or Focac, to discuss the fine. The hatred for South Africans by the Nigerians is now out on display for everyone to see. They want to destroy anything that has RSA tag on it. Nigerians don’t have definition of fair play in their vocab. >>“Neither the first letter nor the second letter sets out any details on how the reduction was determined,” MTN added. Well perhaps it should be reverted back to the USD1000 per unregistered SIM which all operators had details thereof and were clear on; and which MTN flagrantly ignored. I would definitely have to say that your comments only reflect your perception and is yet another such utterance that only serves to fuel xenophobia. I’ve had many instances where Zulu people, would make such suggestions that certain clans have a hate for Zulus; and that too, just like your comments, are utterances that just serve to fuel tribalism. There is nothing to confirm such hate for Zulus neither is there any hatred for South Africans being displayed by the NCC in ensuring effective law enforcement. MTN had the details of what the fine that could be imposed was according to the regulations and there’s no reason whatsoever why they should not be liable for paying the full fine… given their flagrant disregard of the law.